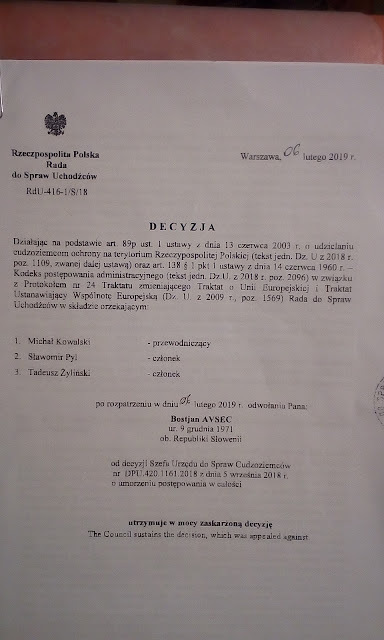 Have through entire immigration procedure as required by Polish state and just to be subjected to even more humiliation at age 47 - without kids or wife ever. 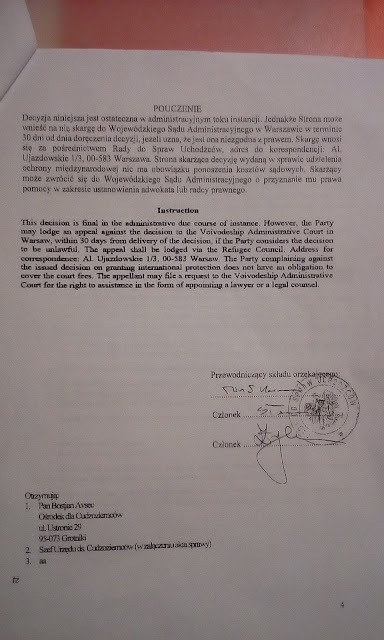 In fact, Poland have had ongoingly engaged against me white Christian during 6 months procedure with directed energy weapons, total destruction of personal belongings(destruction electronic communication equipment was of their highest interest), food poisoning, most severe discrimination, and sleep deprivation torture methods. As en excuse for here mentioned, Poland have used against as pretext for above a European convention/constutution related to article 24 despite most severe engagement in genocide against me already in the past. 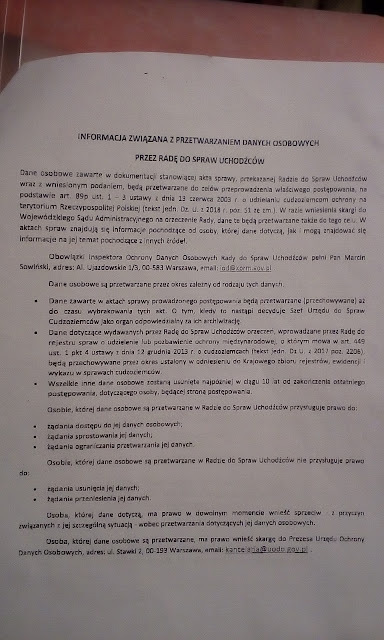 gation toward me as a human being whatsoever due to crimes commited against me in the past on behalf of Serbia, Slovenia, Russia, and Poland alone due to American involvement(was brought to Poland for torture from US as Slovenian and US citizen ongoingly for no less than 9 years under Clinton/Bush's administrations) and due to European Union membership which one obtained several years ago along with Slovenia. 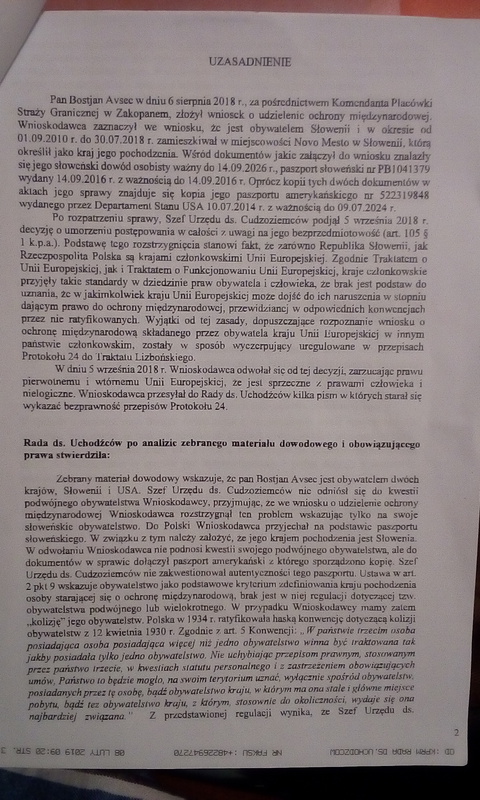 During 6 months long immigration procedure in Poland, Poland attempted to even resell me via above mentioned abuse to non European / non Christian mid East options(includes Israel) as ordeal involved same "refugees" and figures as in 2005/2006 when subjected to MKultra. 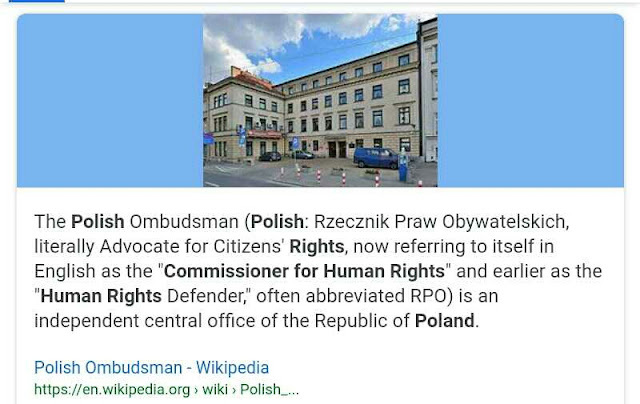 Therefore Poland is even misusing EU membership for torture and human trafficking of European natives(non Polish EU citizens) / US citizens. 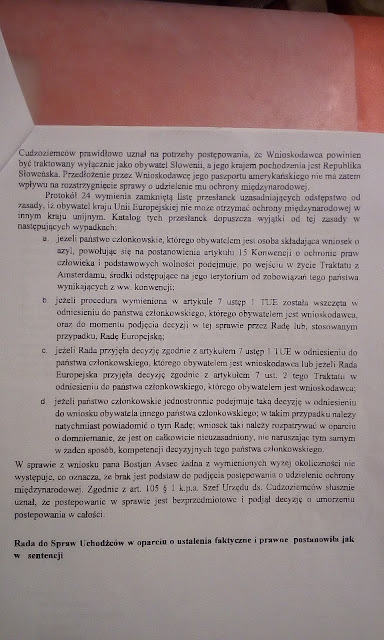 Here is the second answer I obtained from Polish state just yesterday - 6 months and two days after applying for political protection in Poland and of which delibrate delay was also used to deprive me of the right to employment in Poland via immigration procedure for yet another 6 months with income of 17 Euros per month. 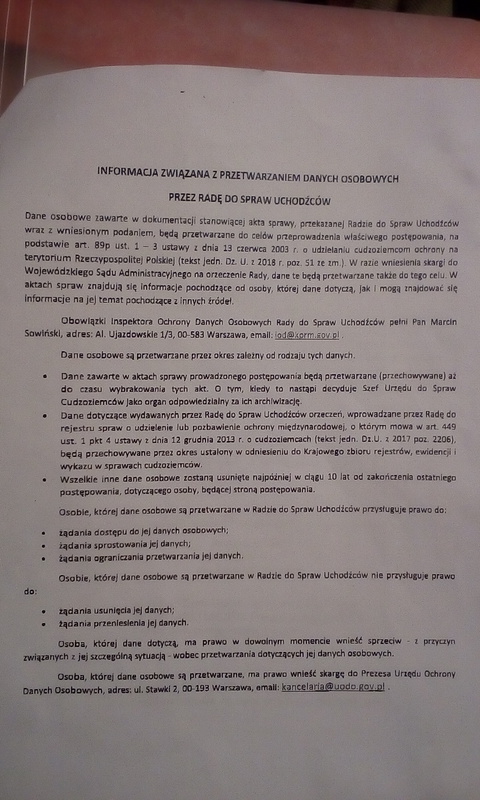 I do not believe Poland should be along with Slovenia in European Union either. This countries represent along with Russia most severe threat to world's stability ONLY.